Dexter Daily: Dexter Season 6 Soundtrack To Be Released Along With Season 7's In 2013? Dexter Season 6 Soundtrack To Be Released Along With Season 7's In 2013? 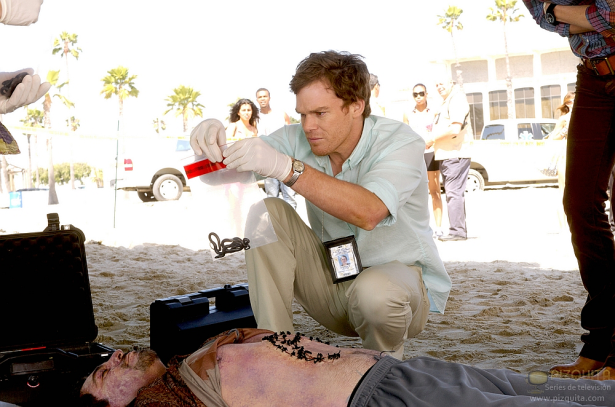 The original music from the sixth season is scheduled to be released on August 2013 along with the new ones from the forthcoming season of Dexter. Composer of the amazing 'Dexter' soundtrack is Daniel Licht. I loved the song in the end of episode 11. A new version of "Hide your tears"
There are a lot of great Dexter soundtrack that are not containing in the CD's. I really love the one on episode 2x08 when Rita returns home with her kids and finds out that someone was in there (Lila). In the same episode I also love the music when Doakes finds the blood slides inside Dexter apartment. Also I want to listen to the full version of the soundtrack of the season 6 finale when Deb finds out. Does anyone know where i can find them please? If you have Spotify, search on "Dexter" maybe you can find them there. I have a playlist with all my favorite dexter songs. Where did you find that info John ? for weeks now and didn't find anything. It's seem that the soundtracks from the sixth season will be released alone and way earlier : september 25th. I don't remember much new stand-out pieces from last season, only a few rehashes of existing ones. August 2013?! Where's a time machine when you need one? can't wait. i need the piece of music that was used when debra finds out. and to this day i've been desperately looking for the music piece playing when dexter kills brian and the one used during the dream sequence of the glorious episode return to sender. one of the most beautifully shot scened of dexter and still one of my most favourite. no luck. i don't see why these weren't included in the season one ost.